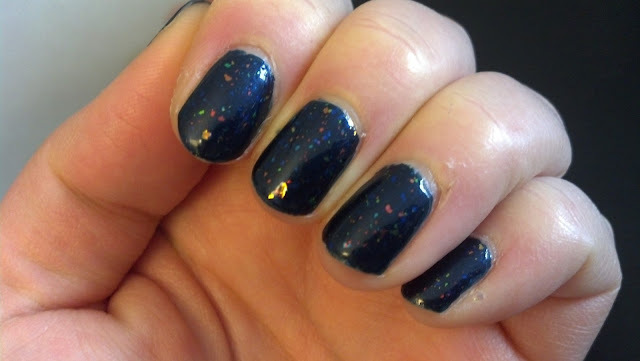 I'm a sucker for a good blue nail polish and as we've already discussed, I'm obsessed with piCture pOlish's Festival flakies top coat. Here's piCture pOlish's Electric Blue with a base coat, a fast-drying top coat, and one coat of Festival. I seriously have an addiction with Festival, when not even a fun blue polish is enough for me and I need to add a coat of iridescent flakies! 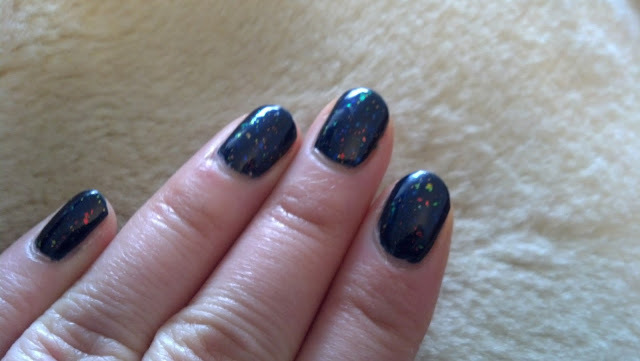 I love Festival on top of a dark polish - the different colors of the flakies look amazing against this dark blue polish! 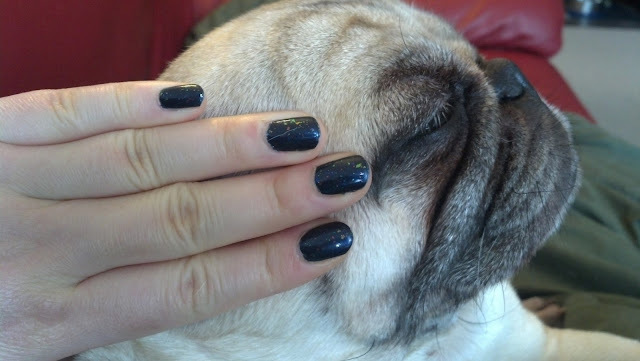 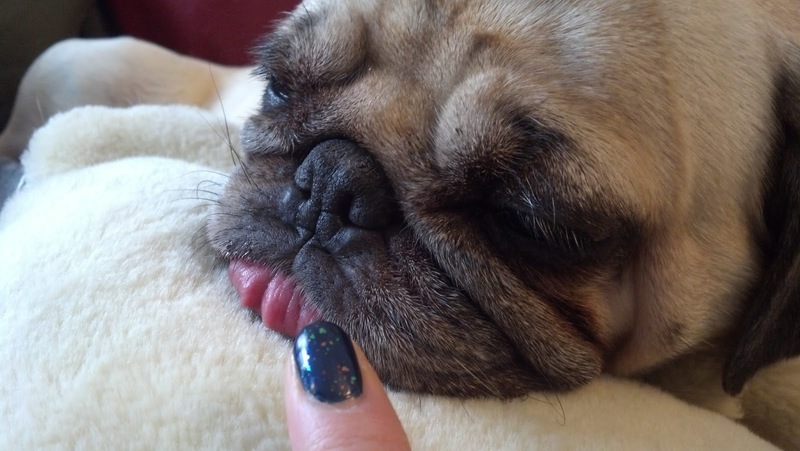 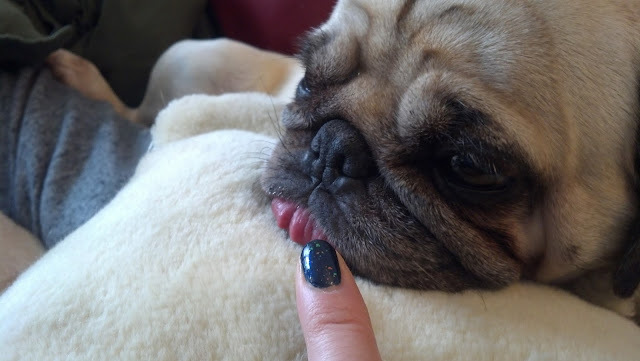 Sunny was gracious enough to help me model the polish. 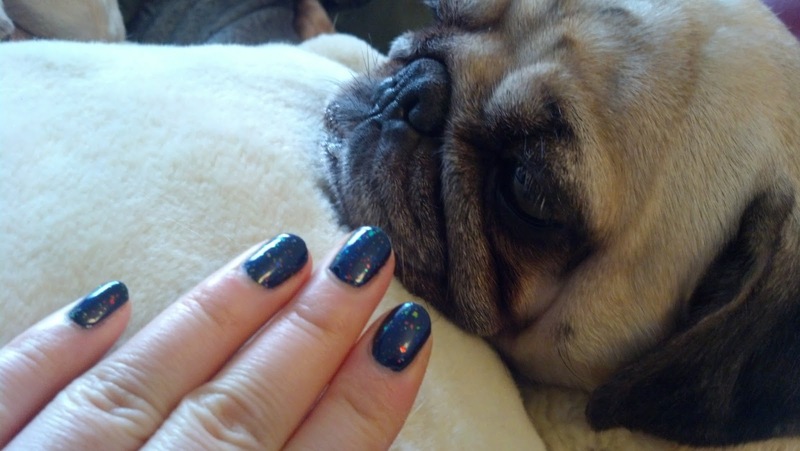 The only downside to this polish is that it's kinda a pain to take off because the polish is super pigmented. 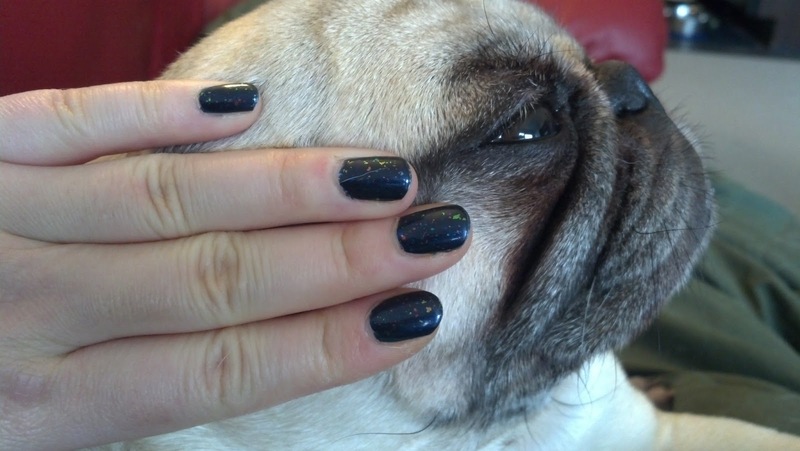 Definitely use a base coat to prevent possible staining (not sure if it would, but I would do it just to be safe). I couldn't stop staring at my nails. 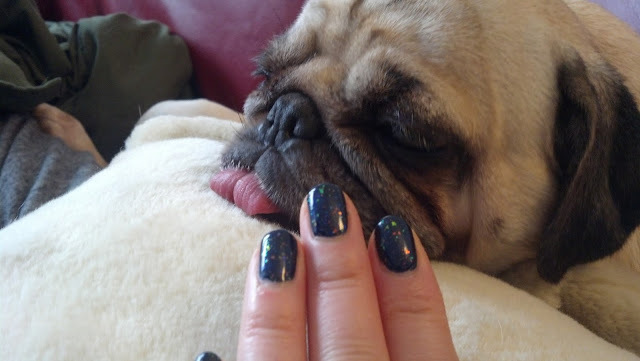 Such a fun weekend polish for me!